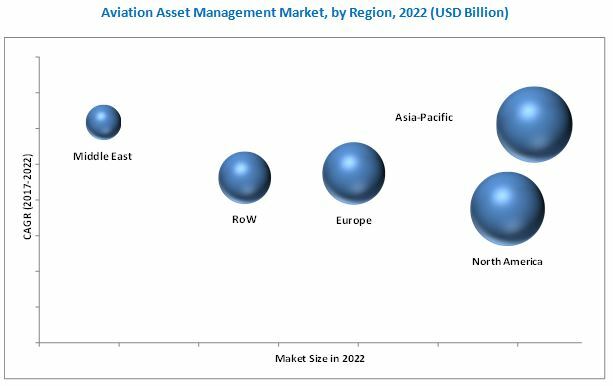 [127 Pages Report] The aviation asset management market is projected to grow from USD 171.72 Billion in 2016 to USD 229.04 Billion by 2022, at a CAGR of 4.92% from 2017 to 2022. 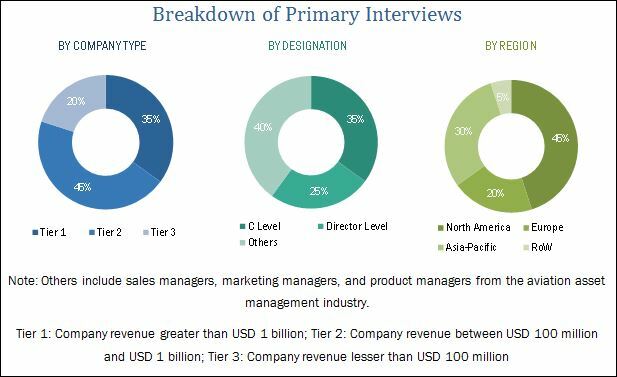 The objectives of this study are to analyze the aviation asset management market, along with the statistics from 2015 to 2022 as well as to define, describe, and forecast the aviation asset management market on the basis of end use, service type, and region. The year 2016 has been considered as the base year, whereas, 2017 to 2022 has been considered as the forecast period for the market study. The research methodology used to estimate and forecast the aviation asset management market begins with capturing data on key aviation asset management equipment revenues through secondary sources, such as International Air Transport Association (IATA), Federal Aviation Administration (FAA), European Aviation Safety Agency (EASA), and paid databases. The aviation asset management offerings are also taken into consideration to determine the market segmentation. The bottom-up procedure was employed to arrive at the overall aviation asset management market size from the revenue of key players in the market. The aviation asset management ecosystem comprises companies such as GE Capital Aviation Services (U.S.), AerData (U.S.), and Airbus Group (Netherlands), among others.